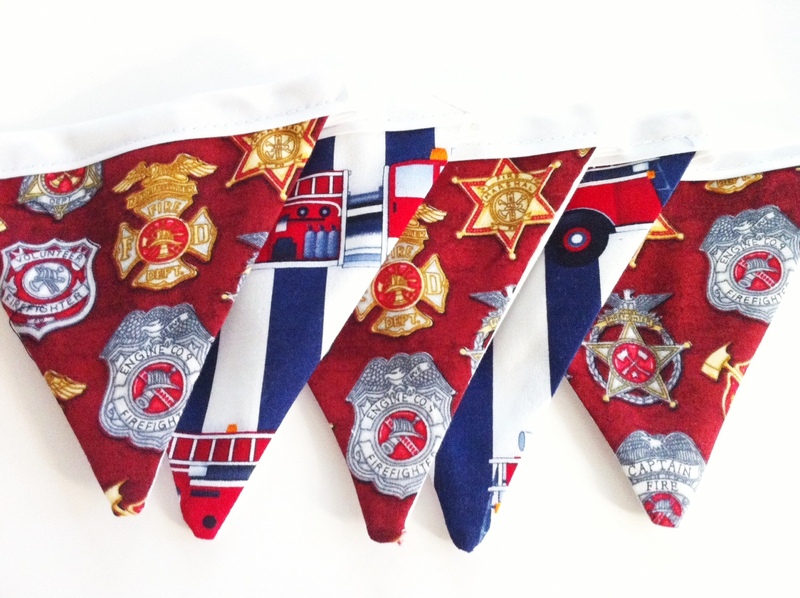 I was excited to work on a custom Firefighter Garland this week for a good friend. 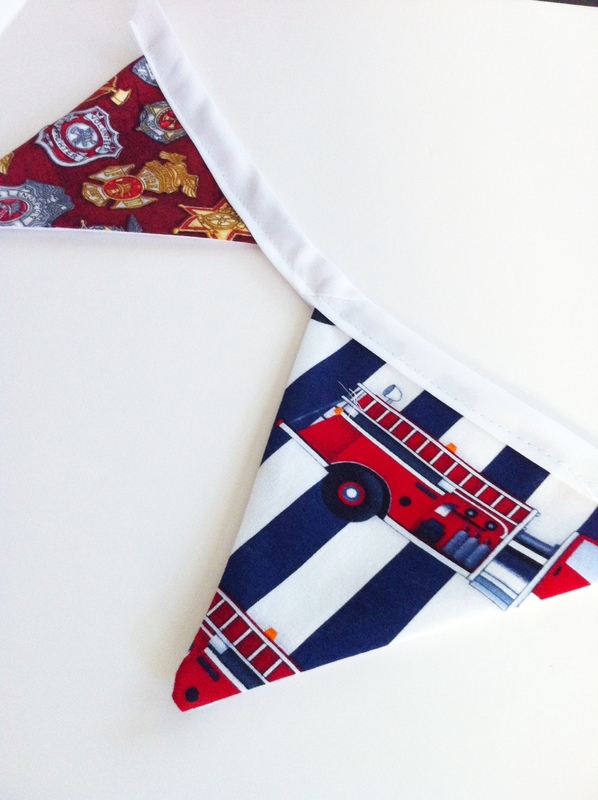 Had to special order the fabric and the anticipation of the delivery was driving me nuts! Couldn’t wait to get it done. 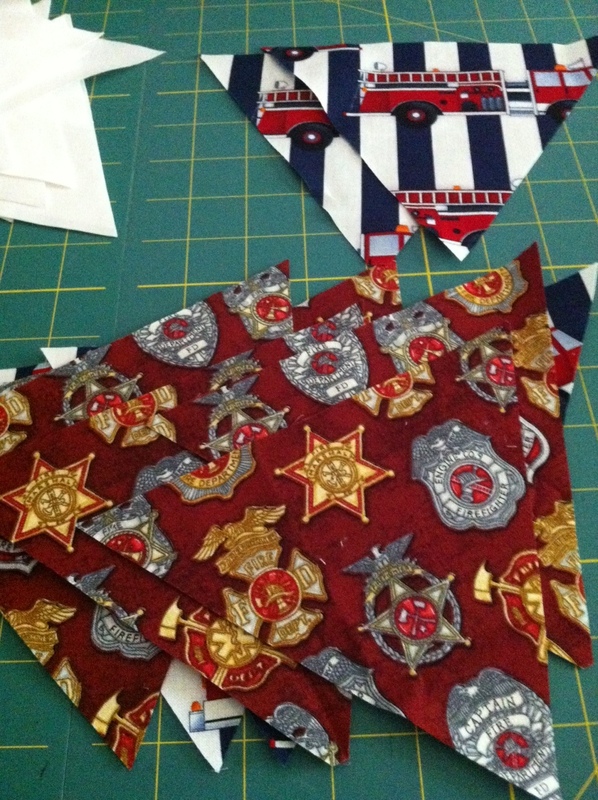 Typically garland of this type requires bias tape to be used as the strip that holds all the flags together. Only catch is packaged bias type can be pricey and only comes in small yard amounts. My mother has the luxury of having a fancy bias tape maker which saves her a lot of time and money. I on the other hand do not have one…. yet. 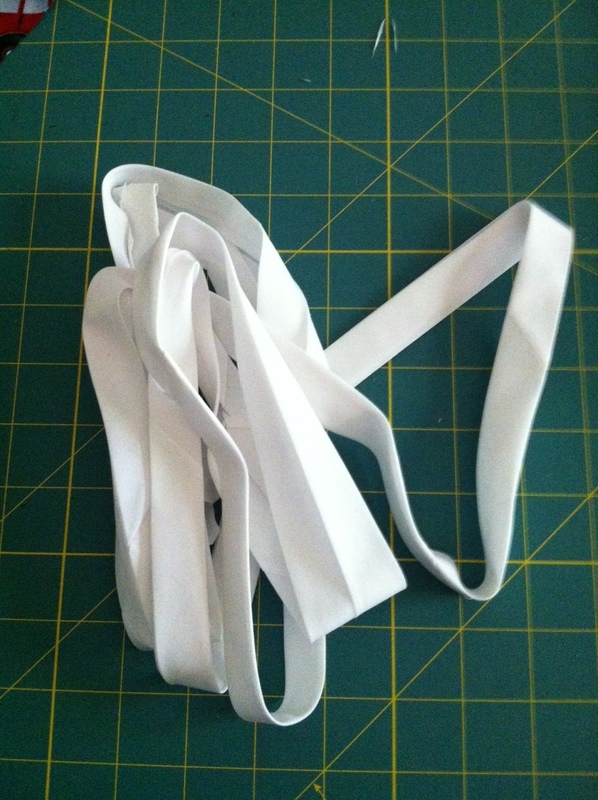 Lucky for me, bias tape can still be made without all the fancy gadgets. 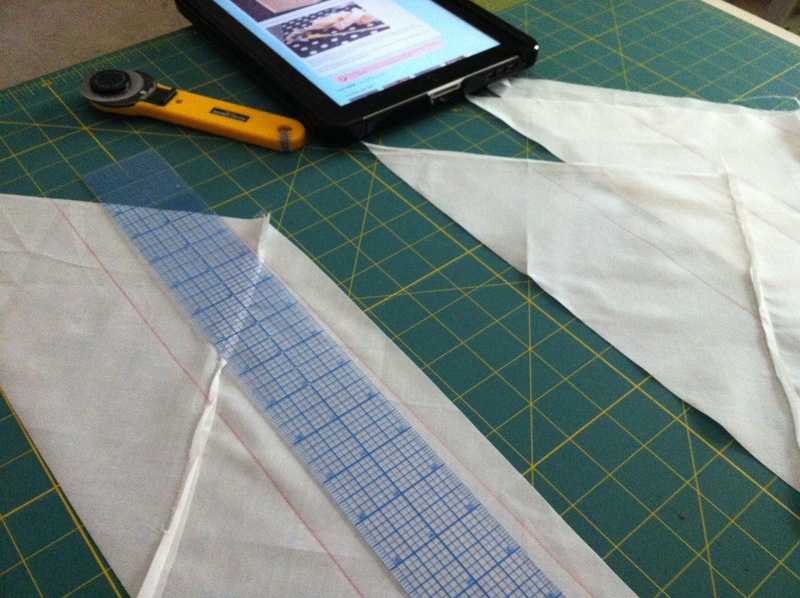 Thanks to this tutorial, I took the challenge of making my very own continuous bias tape. I had to make a few of the instructed pieces to get the length I needed but it was VERY easy to follow! And just like that, my very own bias tape!! This style of garland is a great fabric stash buster. Now I cant wait to cut out some more!